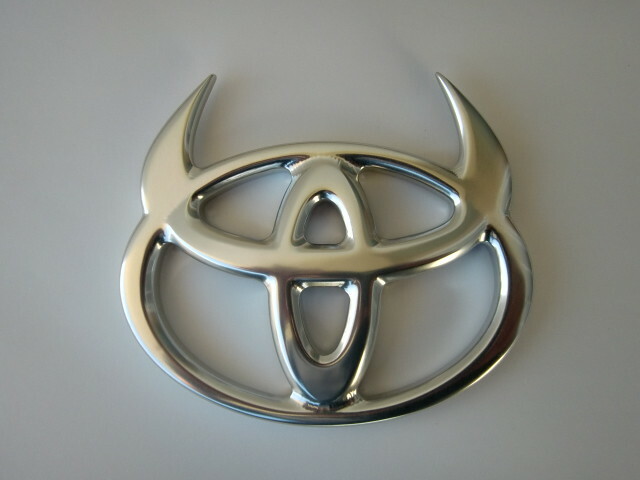 This page was built to provide a little more information to show how much work is put onto making these emblems. 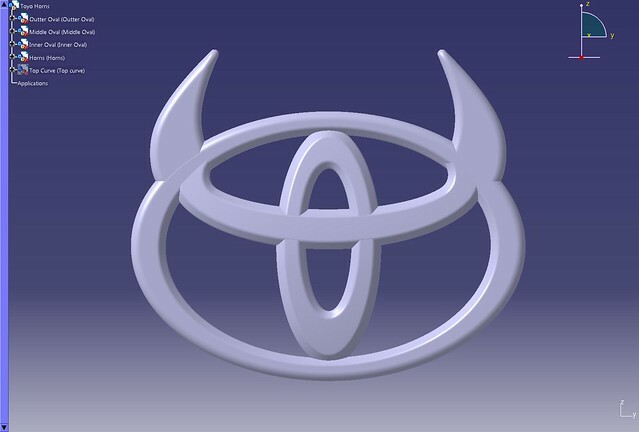 The first step into making Devil Horns was the use of Computer Aided Design/Drafting, also known as CAD. 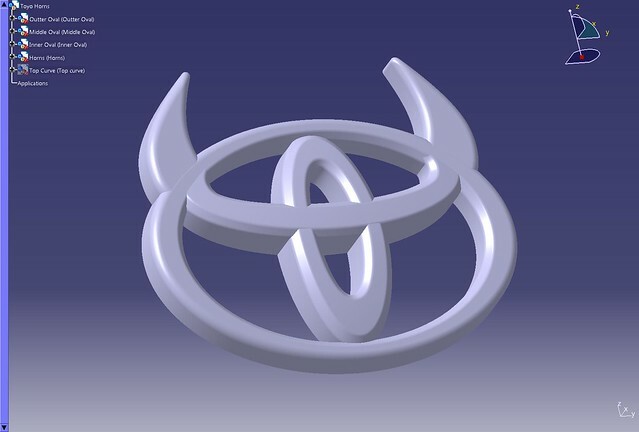 The Idea is to draw Devil Horns as a 3D model with the use of computer software, modifying every line and curvature until they all meet in a well balanced and functional design. 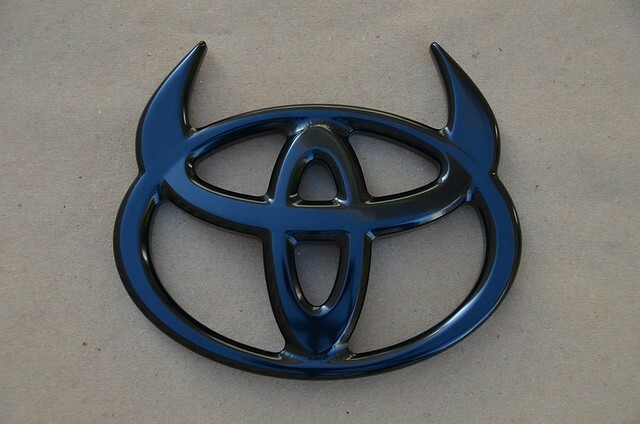 6061-T6 Aircraft Grade Aluminum was selected as the primary material used to make Devil Horns. 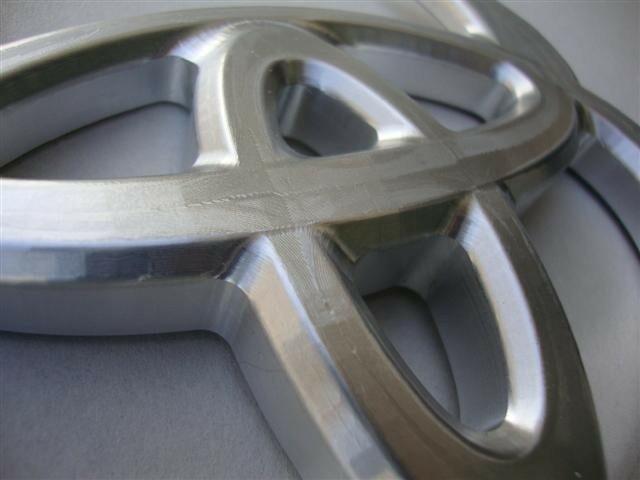 Aluminum is remarkable for the metal's low density and its ability to resist corrosion. 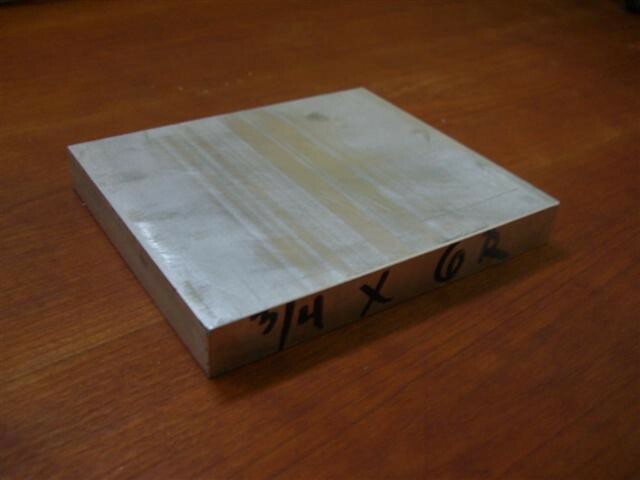 All tough other grades of aluminum are available (2024, 7075, etc. 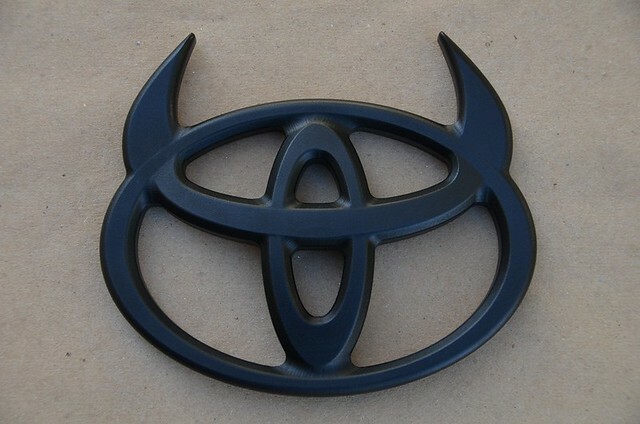 ), 6061-T6 offers a well balanced solution in stress, strength and ease of working with, making it a perfect structural component for this emblem. 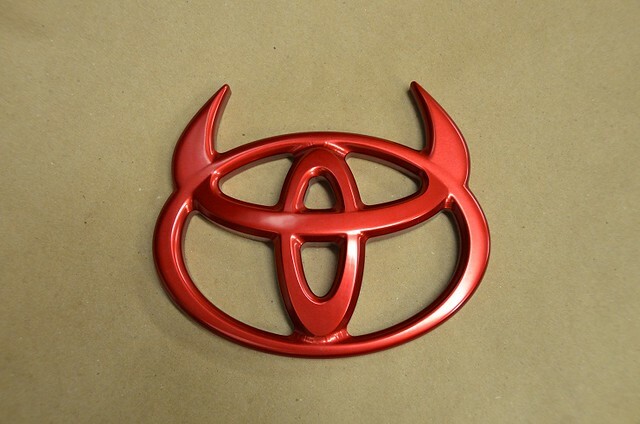 In order to provide the highest quality of fabrication, Devil Horns was made using CNC machines. 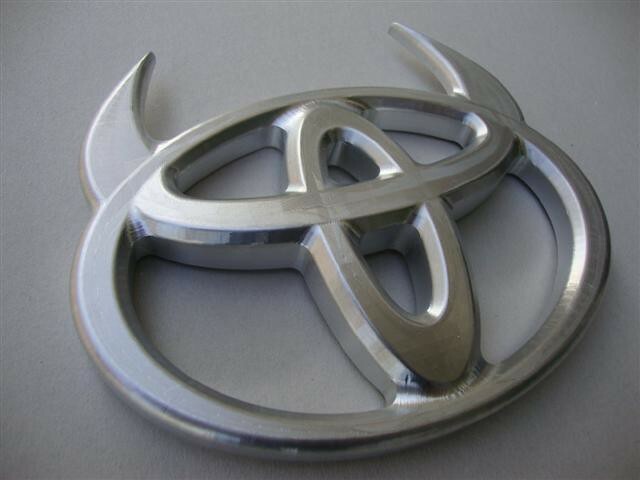 Before the use of CNC technology parts were fabricated manually by a machinist, a person who uses machine equipment to make or modify parts, primarily metal parts. 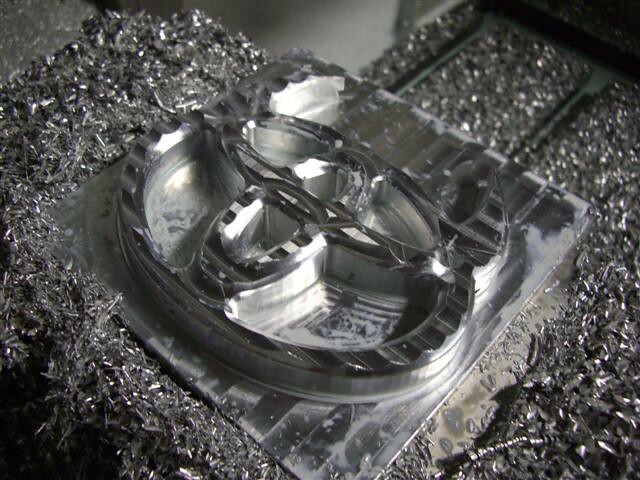 With the introduction of CNC equipment the fabrication process is now made using automated machines which can be programed to perform various operations to produce complex parts offering more options, control and repeatability. 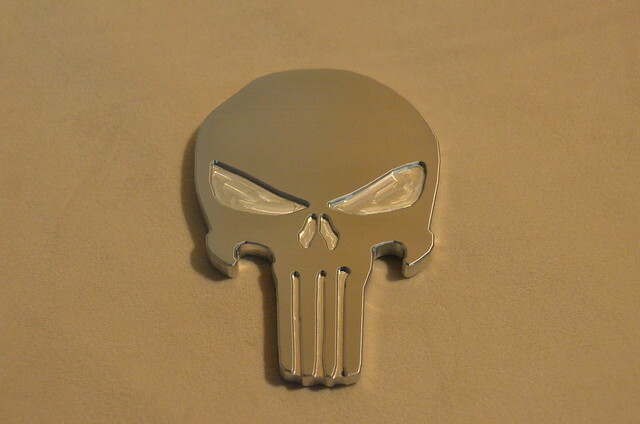 While other methods of fabrication exist to produce this emblem I wanted to share the same product with you as the first emblem I made years ago that takes time and care to perfect, all 100% American made. 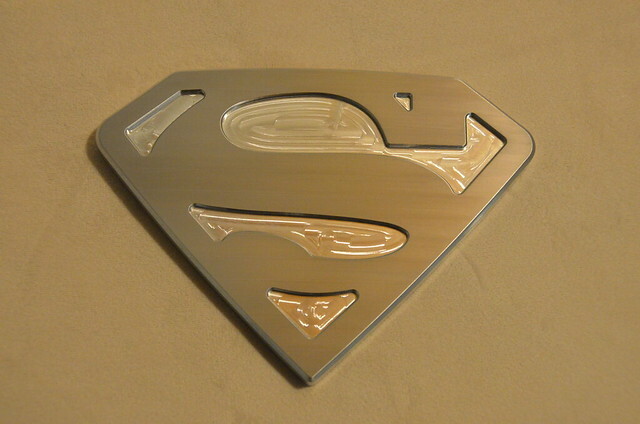 This is the way the emblem comes out of the CNC machine after being fabricated. 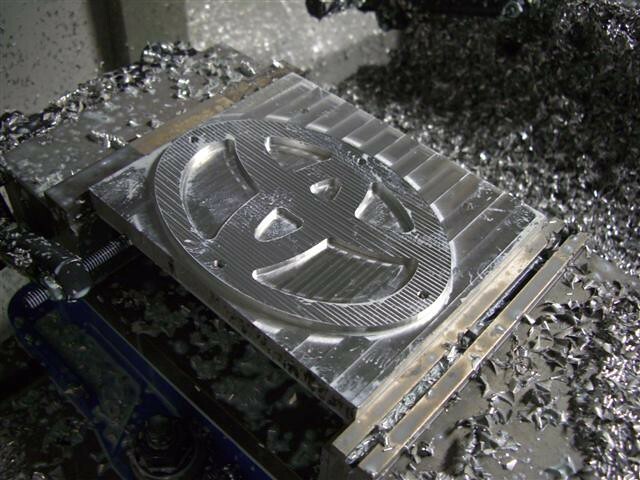 There will be small visible marks left by the CNC machine on the surface. A good reason to leave it raw is to paint it yourself, perhaps there is a specific color not provided by me. This process consists of small round metallic particles with sufficient force to create surface deformation. 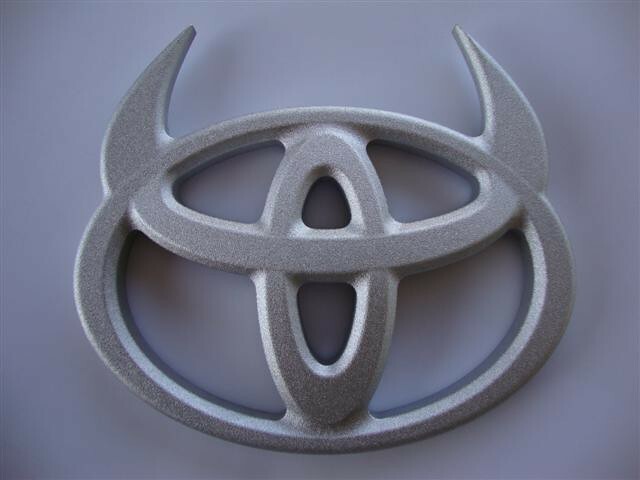 The result is an increased stress layer that hardens the outer area of the material making it stronger and more durable while leaving a grainy "sand-like" texture at the surface. Shot penning will come standard with any anodizing color. 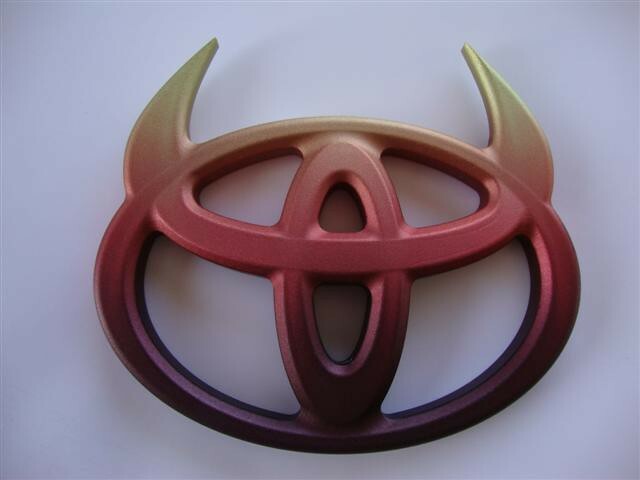 Anodize is a process where color is added to the aluminum at a microscopic level using chemicals and electric current. 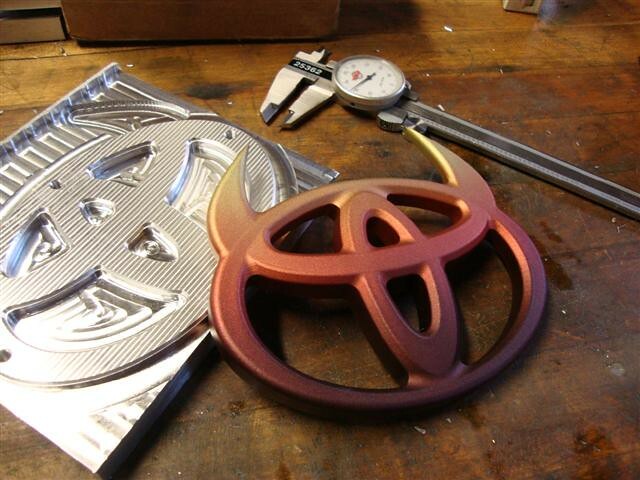 The thickness of the anodize layer averages only a few microns of an inch, virtually noting. 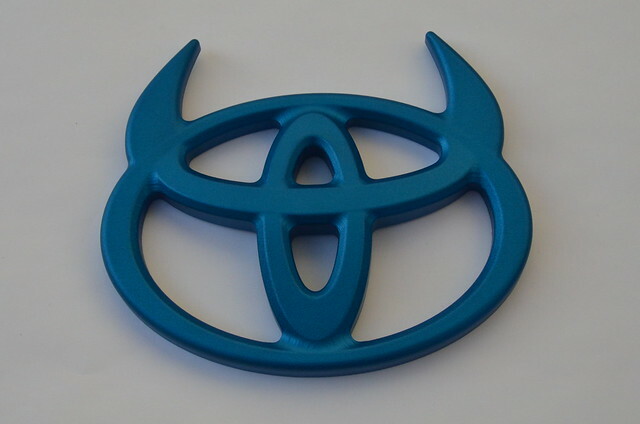 For best results, shot penning will be standard on any anodized emblem. Unfortunately due to weather conditions such as sun light, heat, moisture, etc. 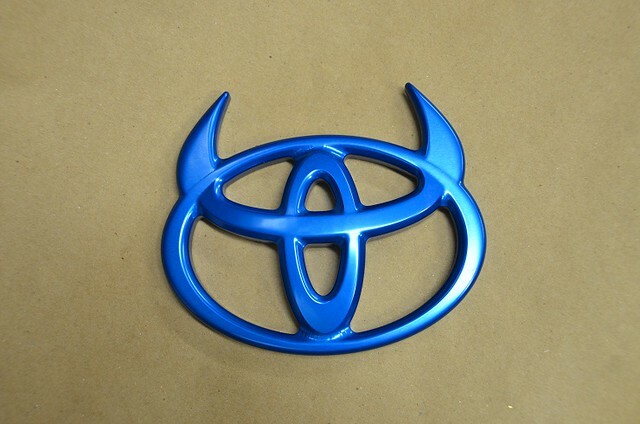 some of the anodize can fade over time. 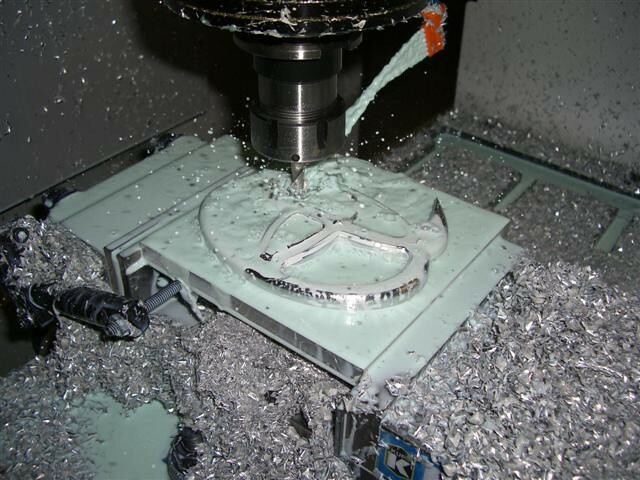 Polished option removes all of the CNC marks and uses a polishing wheel to smooth the surface to a mirror-finish. 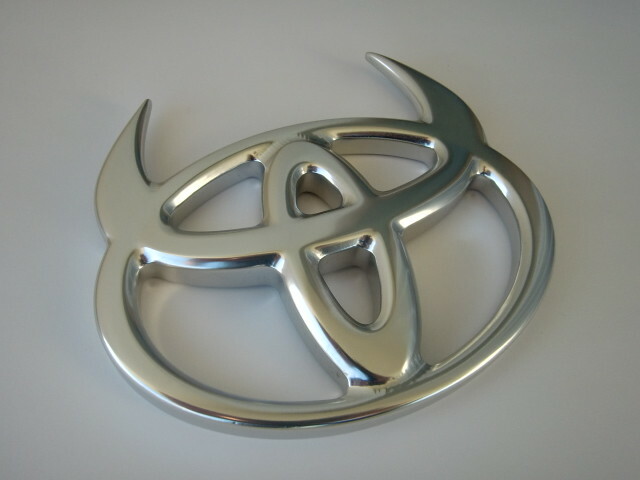 After the emblem has been polished a layer of clear anodize or clear powder coat will be applied to preserve the shine. 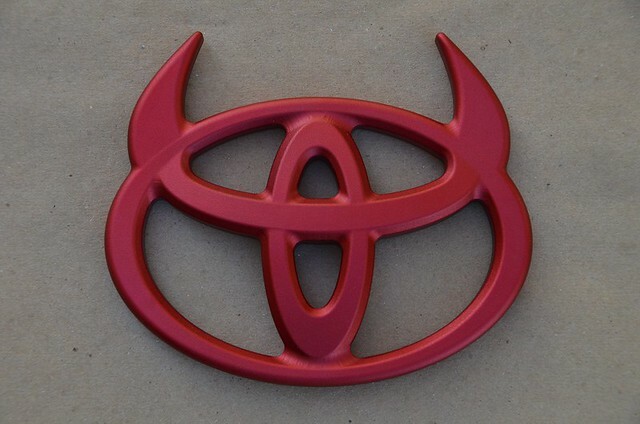 This is the closest to an original factory emblem finish. 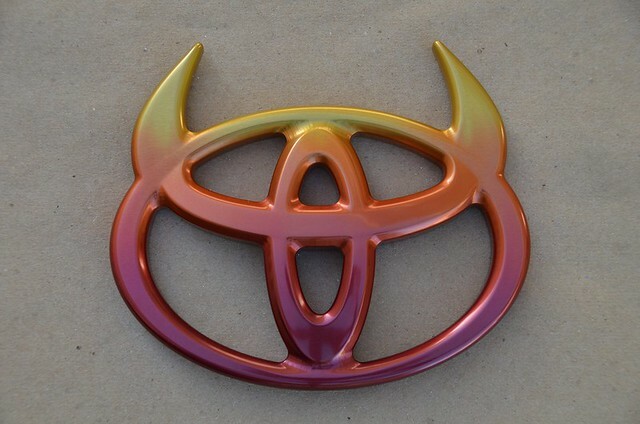 In order to further protect the anodize from being damaged, a layer of clear powder coat is also available over any anodized color. 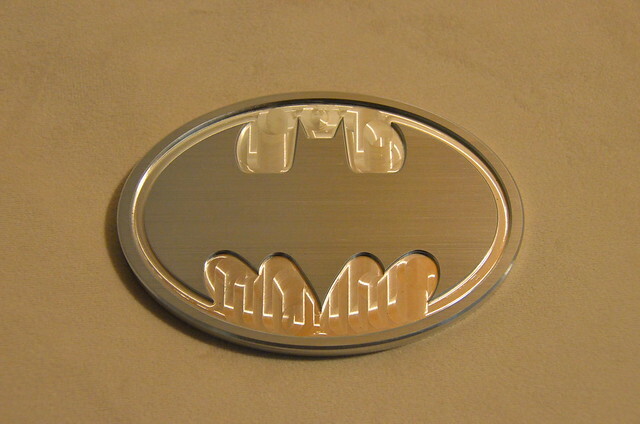 The inside will have the same "sparkly" look while the outside will be protected with a layer of clear powder coat. 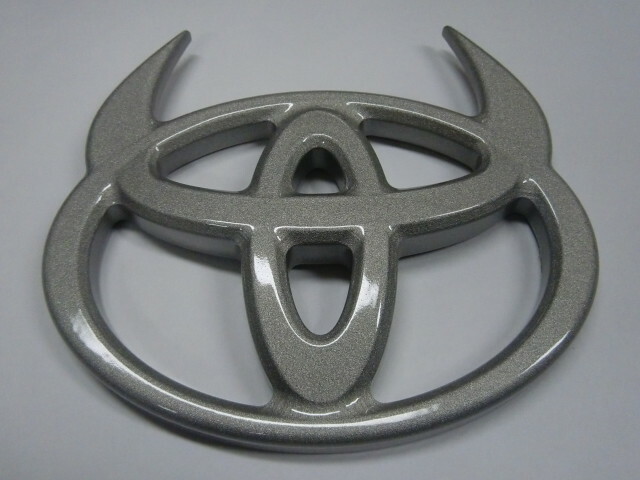 On average, the thickness of the powder coat is be about .012 thick.